EXCLUSIVE Remember those days of coloring Easter eggs? 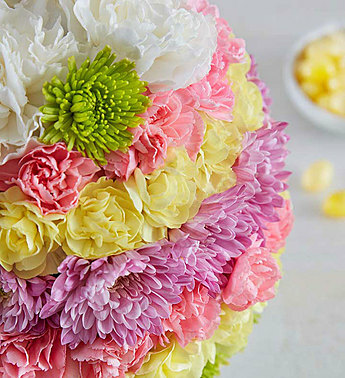 Our floral designers created a 3D replica of a colored egg fashioned from bright carnations and poms in pastel shades of yellow, pink, and lavender. 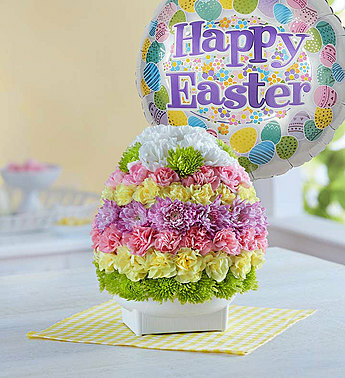 Our Easter Egg of Blooms makes a unique and charming centerpiece or décor element for your holiday gathering!